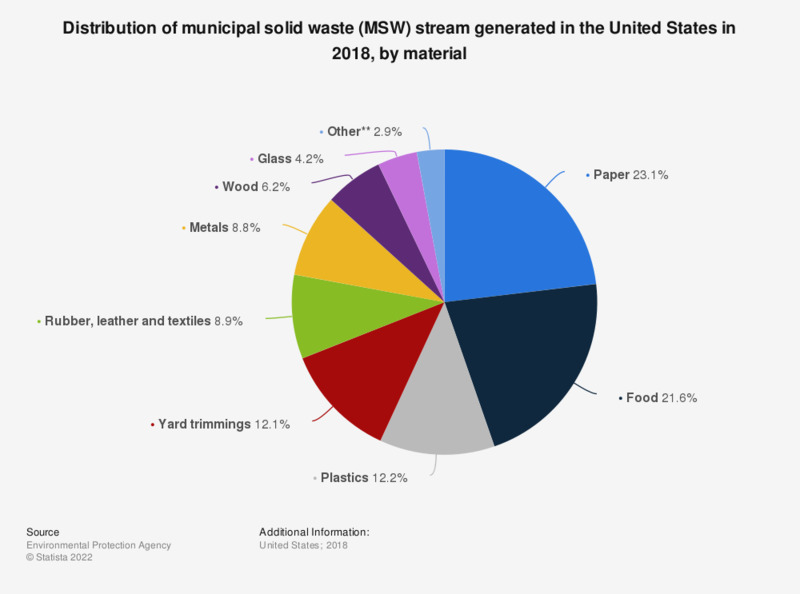 This statistic represents the distribution of materials generated from the municipal waste stream in the United States in 2015. During this year, some 9.3 percent of the total municipal waste stream consisted of textiles, rubber and leather materials. The most preferred component of the U.S. waste management hierarchy is for source reduction and reuse. * Includes electrolytes in batteries and fluff pulp, feces, and urine in disposable diapers.